and satin; what’s more, you have your choice of iron on, self-adhesive, and printed labels. 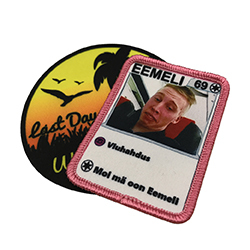 We offer two types of borders for custom woven patches: Merrow, and Laser Cut. borders are more suited for basic shapes such as circles, ovals and squares. Thank you for emailing ANGELA LABEL. Q: What is the PVC backing? 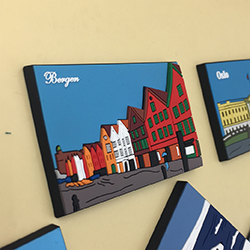 A: We can include up to 8 colors per custom patch design. 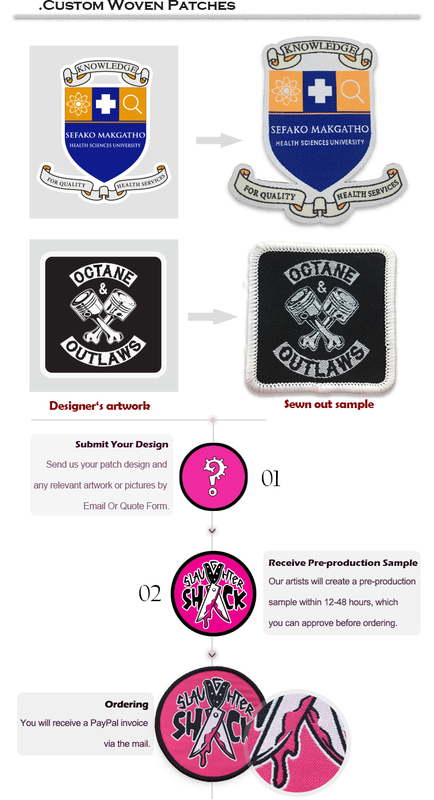 Q: What’s the difference between woven patches, and embroidered patches? up of Dots, This means we can achieve higher detail than Embroidered Badges. A:A merrow border is a heavier border which is stitched up and over the outer edges of your patch. 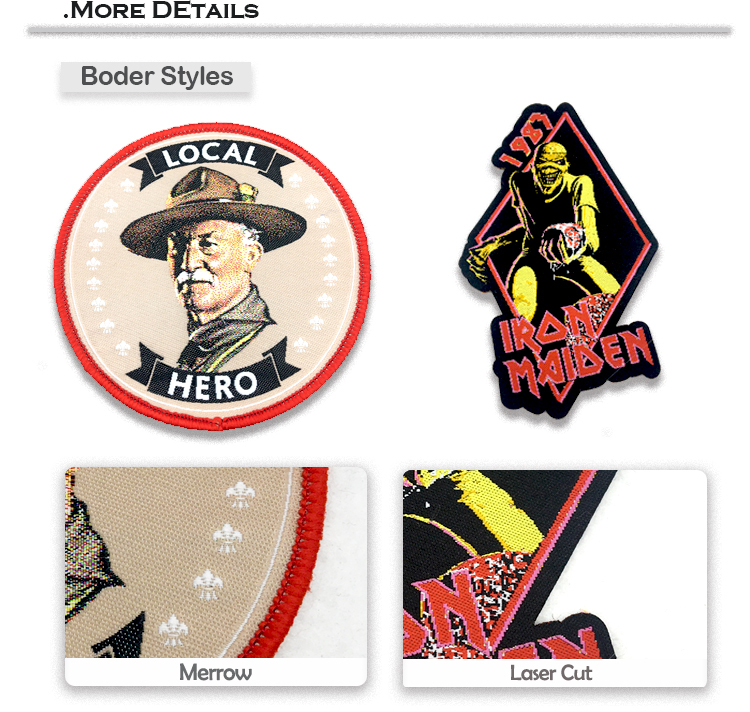 Q:What is the difference between embroidered and woven patches? larger woven label machines which use much more compact threads resulting in much sharper, fine detail. 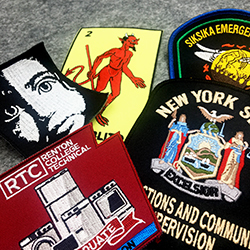 Embroidered patches have a much heavier stitching appearance whereas woven patches appear more flat.